A Gulf of Mexico fishing trip during which three football players died shows the life-saving value of the EPIRB — a safety device Guy Sumlin has always carried on his Grady-White for passages to the Bahamas. 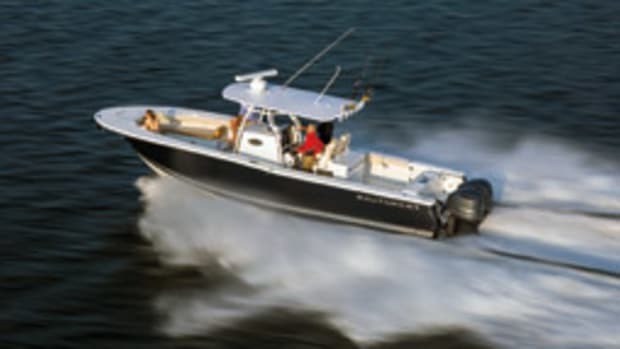 But Sumlin’s EPRIB was 9 years old, and with the Gulf tragedy fresh in his mind, Sumlin, 75, and his son, Warren, 52, decided to buy a new one before they set out in April from Stuart, Fla. The decision paid off. The EPIRB led to their rescue April 26 after their 25-foot center console, a 247 Advance, flipped about eight miles off Fox Town, Bahamas. “The EPIRB on board this vessel was instrumental in saving the lives of these two men,” says Lt. Justin Nadolny, a Coast Guard search-and-rescue coordinator in Miami. 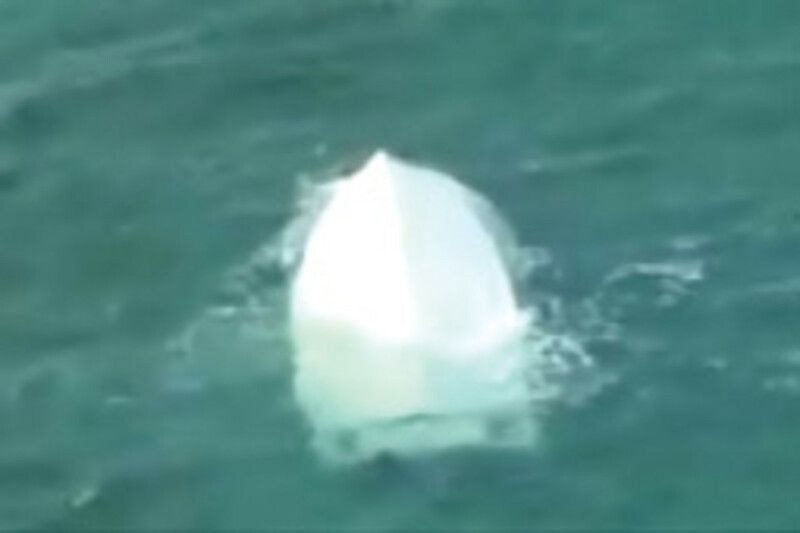 In the highly publicized Gulf capsize, two National Football League players — Marquis Cooper, 26, and Corey Smith, 29 — along with former University of Southern Florida player William Bleakley, 25, died after Cooper’s 2005 21-foot Everglades capsized in rough seas more than 50 miles off Clearwater, Fla. Trying to free the anchor, the crew tied the anchor line to the transom and powered forward, pulling the stern down. The cockpit flooded, and the deep-vee center console rolled over. Nick Schuyler, 24, of Tampa, Fla., survived by staying on top of the overturned hull for 46 hours. The Sumlins were rescued about 22 hours after capsizing. They had arrived in Fox Town the night of April 25 and set out early the next morning for Marsh Harbour to clear Customs. The EPIRB and some life jackets were stowed in a zippered pouch on the underside of the soft T-top. Warren Sumlin grabbed a life jacket before the vessel capsized, says his father. Warren then dove under the boat and pulled one out for his dad. 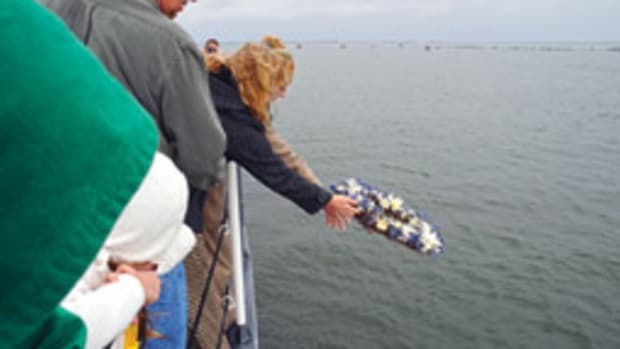 But they made no attempt to retrieve the EPIRB, because they didn’t realize it would be unable to send a signal with its antenna submerged. 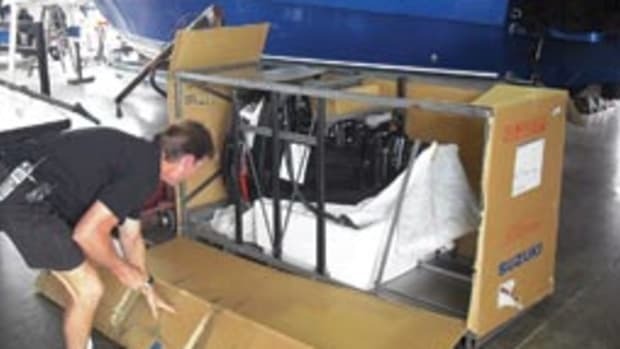 Warren also unsuccessfully tried to retrieve four strobe lights from the compartment forward of the console. 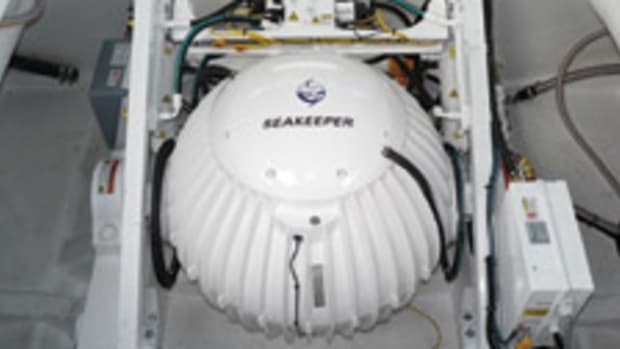 Guy Sumlin’s wife, Elizabeth, found the new EPIRB on the Internet — an ACR Satellite2. It’s a Class II EPIRB, which means it automatically activates when out of its bracket and in the water. It also can be manually activated. It has audio/visual indicators of active transmission, floats upright and has a built-in strobe. 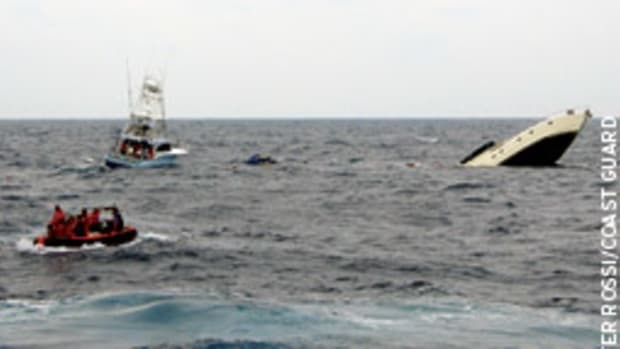 About 11 hours after the vessel flipped, the Coast Guard received the EPIRB’s signal and deployed a jet from Miami, according to Coast Guard Petty Officer Sondra Kay-Kneen. The crew of the jet failed to find the Sumlins, so a helicopter was deployed the next morning. The father and son were found at 8 a.m. April 26 on a small rock island. 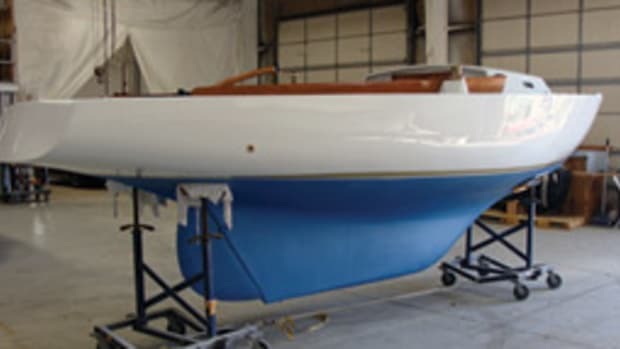 The Sumlins, both from Land O’ Lakes, Fla., should be commended for upgrading the 9-year-old unit, but a safety lesson can be taken away from this accident, as was the case with the Gulf capsize, says Tom Rau, a retired Coast Guard senior chief and an authority on recreational boating safety. Even if they had fully understood how the EPIRB worked, Warren Sumlin may have opted not to dive under the boat again because he was so exhausted, says Guy Sumlin. The two used dock lines, already tied to the cleats, to stay with the boat. Warren straddled the stern, and his father was just abaft the transom, trying to stand on the underside of the integral swim platform. 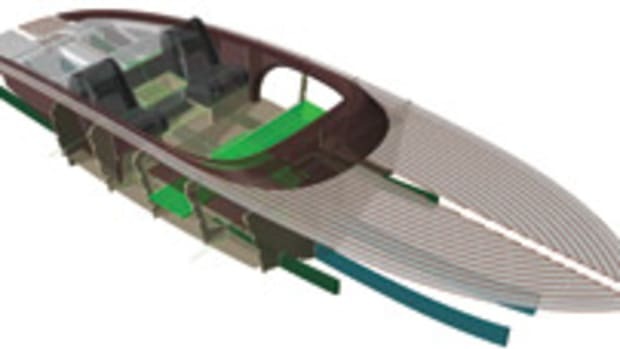 Only 3 or 4 feet of the bow remained above the surface. The waves grew as the day wore on. Warren would warn his dad when a series of big waves was headed for them. They saw only one shark — an estimated 7-footer that circled the boat several times and then left. 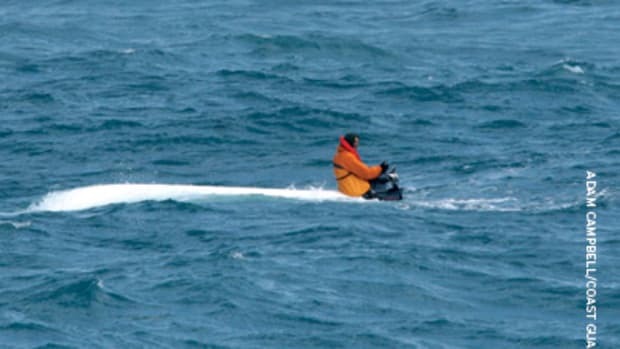 About five hours after the capsize, a bottle of iced tea and a bottle of Mountain Dew popped out from under the boat. They drank carefully to keep salt water out of the bottles. During the 11th hour, they began to see a small rock sticking out of the darkness. Luckily, they drifted directly to it. 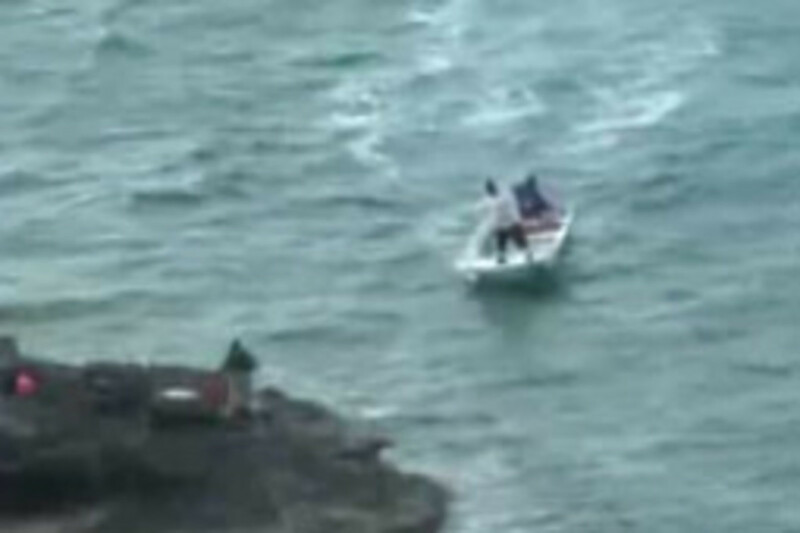 They left the boat, and swam around the rock until they found a place where they could climb onto it. The boat smashed into another rocky island nearby. It was then they saw the strobe light of the EPIRB blinking. “We don’t know when it came on,” says Guy. 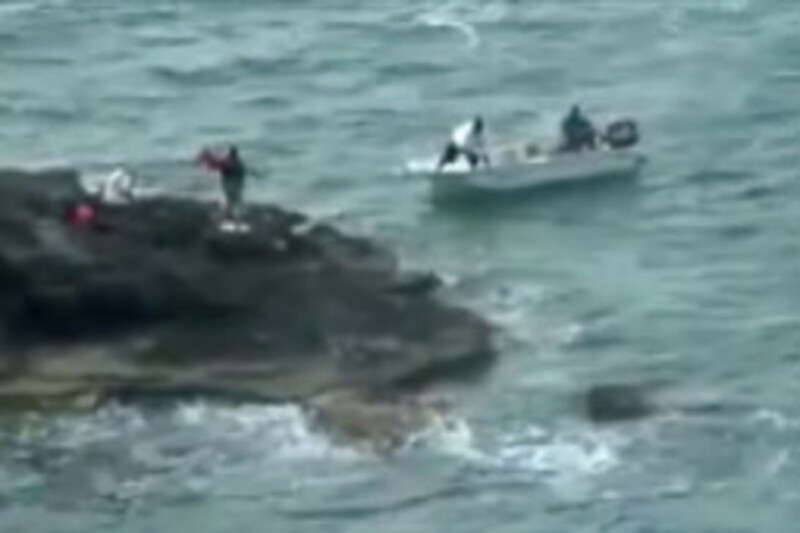 Exhausted, Guy took off his life jacket, laid it down on the rock and slept. Bahamas. This time, in addition to an EPIRB, he’ll be carrying a strobe light in his pocket, he says.